Available in Handy Pack (26), Bulk Pack (48) and Jumbo Pack (90) sizes. Available in Handy Pack (24), Bulk Pack (44) and Jumbo Pack (87) sizes. 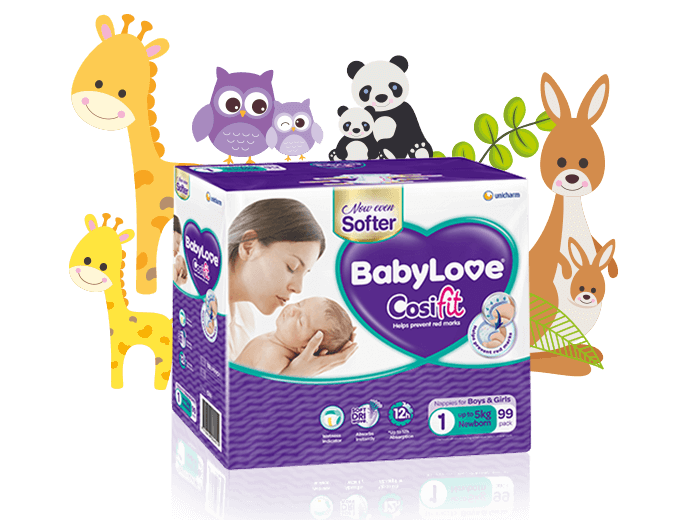 Available in Handy Pack (20), Bulk Pack (36) and Jumbo Pack (75) sizes. Available in Handy Pack (16), Bulk Pack (30) and Jumbo Pack (60) sizes. New Look! Same Great Product! 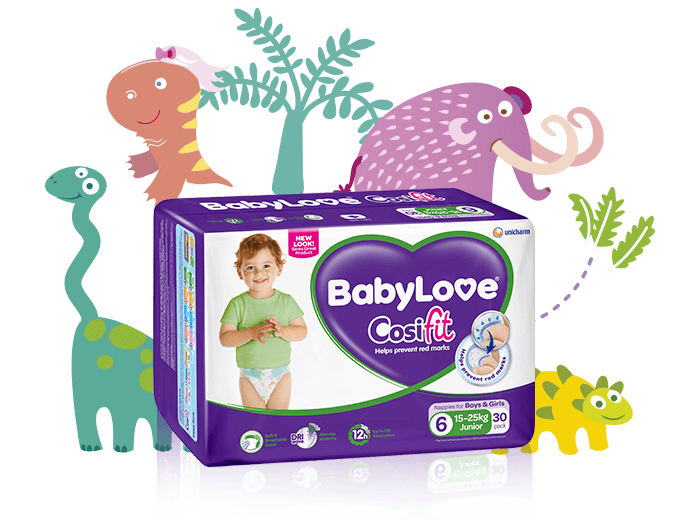 Featuring Australian first patented technology, BabyLove Cosifit™ helps prevent harsh, red marks on baby’s delicate skin and provides advanced leakage protection.